Directed three short films on location in Tanzania to highlight the power of UK investment overseas. Based on personal stories of people's who's lives have been transformed through having a job. Shot in East Africa's biggest powerplant, on a tea plantation in central Tanzania and with a market leading brand in Dar Es Salaam. This short film made the environmental case for the UK remaining in the UK. Ricky Hatton speaks out about his battle with depression. The film was part of a mental health awareness campaign launched by Men's Health Magazine. A short documentary on the response to California's 4 year drought. Behind the scenes documentary on the making of MTV's sensational international drama Shuga, exploring issues around HIV awareness, sexual health and relationships. Production Title: Notting Hill Carnival: Who Started it ? Documentary looking at the origins of Europe's largest street festival and the social history surrounding it. Wyn Baptiste presents and directs. The second series documenting African Contemporary Art. My role was to decide the editorial shape and content of the second series - ensuring that the strand moved on and developed beyond the critically acclaimed first series. 6 x 30 mins Arts Documentary Series - “African Masters”. Groundbreaking series featuring the biggest names in African Contemporary art who are making an impact across the globe. My responsibilities included editoriaarrative outline, logistical planning, directing shoots in UK, France and USA, recruiting and managing the team. 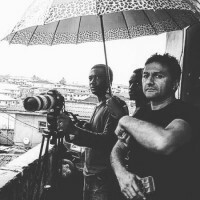 Directing in the field (Togo. Nigeria, Benin, UK), pre productions, logistics, script writing, directing in the edit, overseeing post production, managing team. A series of 3 minute drop-ins broadcast across The Africa Channel featuring leaders in business, industry and politics sharing their experience of success.